Stuck for ideas on what to see and do in our city? Then, you should definitely check out the following suggestions in our brand new what’s on round up, focusing on theatre, cinema, art and music in Chester. Chester is bursting at the seams when it comes to arts and cultural events, with happenings and ideas to suit all tastes and budgets. So what are you waiting for?! Grab a cuppa, take a pew (quite literally if you head to the cathedral!) and see which of the following take your fancy over the coming weeks, from a modern art exhibition and our famous Midsummer Watch parade to a whole host of exciting live music and a spot of outdoor cinema. Please bear in mind that this is not an exhaustive list and is just a flavour of what is on in and around the city. Do get in touch via wearechester@gmail.com if you would like us to consider including your event in future. Anyone fancy the world premiere of a dystopian musical?! Theatr Clwyd have joined forces with inclusive theatre pioneers Hijinx to stage the intriguing sounding BoHo musical. BoHo runs until 24 June and is described as an exploration of what it means to be ‘good enough’, with a cast of actors both with and without disabilities. Our main protagonist David Jones is struggling with city life and feels like another cog in the wheel, until a mistake results in him heading to BoHo, where he meets a number of interesting and exotic characters. Check out James Wright’s review of BoHo, now uploaded to our site. To book tickets, contact Theatr Clwyd. 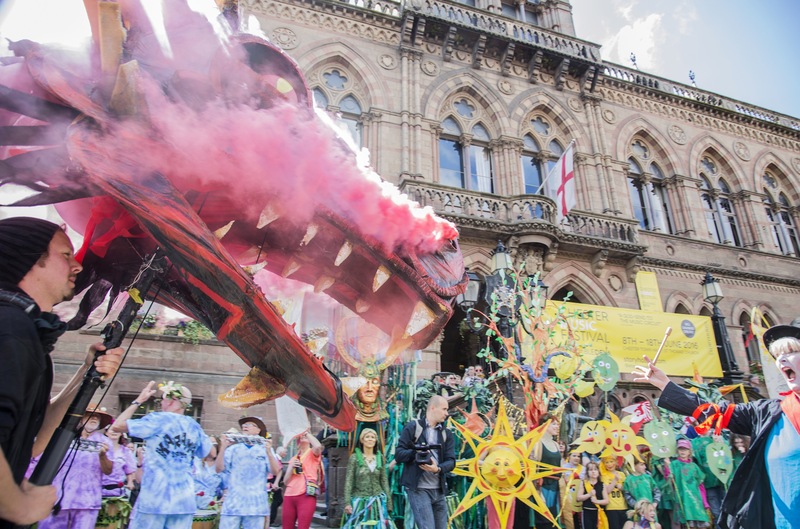 You’d be forgiven for thinking you’d stepped back in time to a Chester of long ago if you happen to enjoy the sights and sounds of Chester’s famous Midsummer Watch parade. The parade, featuring all sorts of interesting and colourful characters, returns to the streets of the city this weekend. It’s a free event and well worth checking out to get a real flavour of Chester’s heritage and longstanding traditions. Shakespeare’s tale of loyalty and ambition colliding and an empire spinning out of control is the latest homegrown production from the Storyhouse team, running alongside three other productions being staged in rep in the main theatre throughout the summer. A Midsummer Night’s Dream and Alice in Wonderland also continue their popular run, with both these shows and Julius Caesar also being put on at the city’s ever popular Grosvenor Park Open Air Theatre next month. The Beggar’s Opera will not transfer to the park, remaining in the theatre itself. These homegrown productions run until 27 August. If you haven’t yet sampled the delights of Storyhouse then we highly recommend it. You can browse the books in the library, enjoy a coffee or a meal in the restaurant, visit the boutique cinema or book a trip to the theatre. A variety of community groups also meet at Storyhouse. It’s well worth looking at their website for more information. 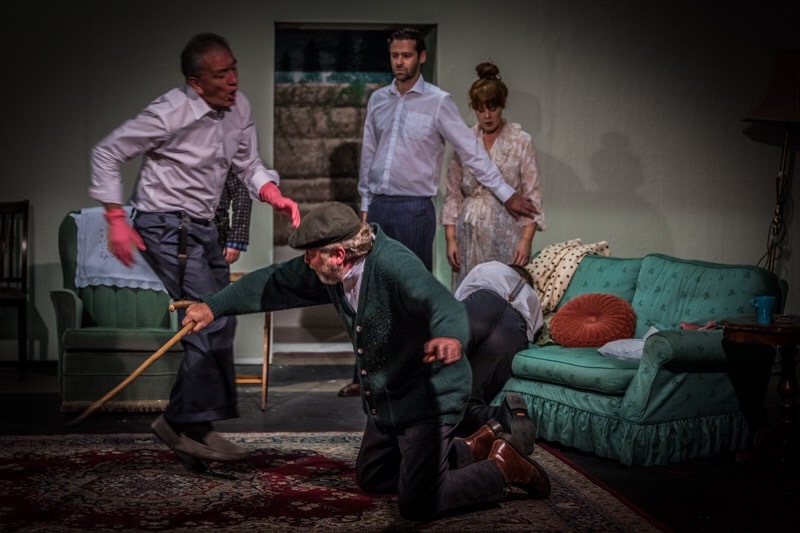 Chester Theatre Club are staging a performance of Harold Pinter’s dark comedy, The Homecoming. The play looks at how the status quo is affected when an absent son and his wife return to the bosom of their patriarchal family. Performances start at 7.30pm. To book contact Chester Theatre Club. Meanwhile, if you haven’t yet had your fill of politics, even after the General Election, look no further than Tip Top Productions’s latest offering, Whipping It Up. It looks at how the smallest slip up can lead to a crisis in politics. The play runs at the Forum Studio Theatre in Chester at 7.30pm from 5-8 July, with a matinee performance at 2.30pm on Saturday, 8 July. The play takes a humorous look at what goes on in the corridors of power. For further information or to book tickets contact Tip Top Productions or call 01244 341296. Chester-based Quartz Youth Theatre Club will be staging a production of Highwayman Higgins which has been specially commissioned for gateway to Chester venue, the Carriage Shed, by Chester train station. Expect to be taken back in time to 18th century Chester, with music, song and dance bringing the story of Cheshire highwayman, Squire Higgins to life. Quartz are part of the award-winning Theatre in the Quarter organisation. Matinee and evening performances will take place at the Carriage Shed on 7, 8 and 9 July. Grab your prosecco and some tasty snacks to munch on, it’s nearly time for Chester’s outdoor cinema, courtesy of Moonlight Flicks. You can take a picnic blanket, bring your own chair or hire a chair for this outdoor treat in the stunningly atmospheric Roman Gardens. In fact, you can even order pizza and have it brought to your seat. Those clever folk at Storyhouse really do seem to think of everything. 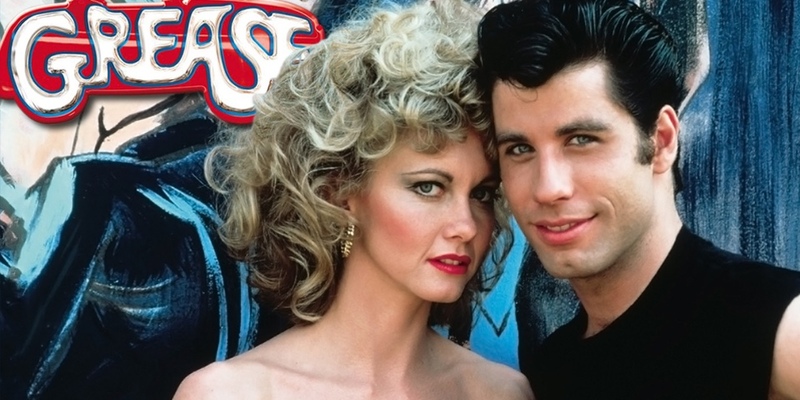 A range of films are being screened this summer, from all time classic musical Grease to the latest instalment in the Star Wars saga – Rogue One: A Star Wars Story. Family film Moana and Fantastic Beasts and Where to Find Them also feature in the line up. This year’s brand new people’s choice film is the classic love story, Pretty Woman. For more information check out the Moonlight Flicks website. Take your pick of a range of films, some oldies but goodies and some new, at Storyhouse’s brand new boutique cinema. The plush red seats are rather comfy and you can even bring your own drinks and snacks to enjoy while escaping to a world of your choosing. There’ll also be National Theatre productions, along with Family Saturdays and and autism and baby and toddler friendly screenings. Ark is a free exhibition of modern art sculptures, described by Chester Cathedral as the biggest of its kind in the North West. Some 90 works of art by over 50 internationally renowned sculptors will feature, making the cathedral well worth a visit over the coming months. This is aside from the fact that the cathedral is a stunning building anyway, with plenty to see and do. If you fancy a bit of live music then check out the New Hope 2: Rebel Rebel Music Festival taking place this weekend (23-25 June). It’s a free event organised by Chester music blogger, musician, radio presenter and promoter Dan Schott in conjunction with The Carlton Tavern and it aims to showcase a multitude of local musical talent over the course of the weekend. Acts include The Daymons, Startripper, Dad Rock, Shem Sharples, Bean, Dead Grateful, Ryuko, Dai Banjo, Brazen Swagger, Def Neon, VIL, Final Nails, Will Riding and Lottie Cousins. The annual Chester Live Festival returns this weekend, with a whole host of gigs across the city. Musicians range from Chester’s own Jon Coley and indie pop trio Peaness to the Anchoress, Campfire Social and Chupa Cabra. Some events are free and some ticketed, with venues including Telford’s Warehouse, The Piper and the Golden Eagle. There’s also a street festival on Brook Street on Sunday 25 June, with live music on two stages, along with a range of stalls and family entertainment.